I must admit to being a pinch of Grinch with a dash of Scrooge when it comes to holiday gifts. I’m not a huge fan of spending big bucks on Christmas presents or dishing out dollars on holiday decorations. I just don’t think busting the bank for one day makes much financial sense, especially in this economy. I do love celebrating the holidays simply though. There’s no better gift to give a friend, loved one, or neighbor than something creative, homemade, or thoughtful. To help celebrate the holidays, I’ve put together some frugal holiday finds for everyone on your list. Some gift ideas cost a dash of dough, but most are inexpensive or homemade presents. 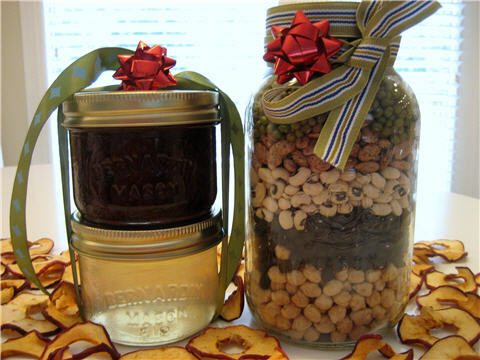 Preserved food in jars makes an awesome homemade holiday gift. You don’t need a farm to make jams or jellies. I love to place colorful beans for soup in a jar. Preserves. Susy at Chiot’s Run writes on her homemade preserves. For detailed instructions, see the Harvest Keepers Project. Bean Soups. I’m a huge fan of layering pretty beans in jars as soup mixes. Just create an instruction label, add a flavor cube, and top with a bow. For a helpful little book, see Gifts in a Jar: Soups. 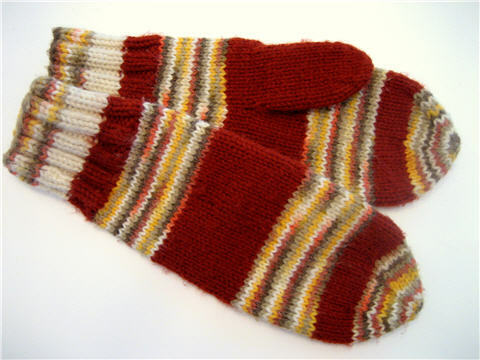 I remember years ago when my grandmother knit me woolly mittens for Christmas. This photo pictures a pair she knit at least 15 years ago. I’ve keep this pair safe all these years in memory of her. Knitting a pair of homemade mittens takes a little bit of work. But since knitting has experienced a recent surge in popularity, here are some patterns and frugal book finds when knitting mittens for your little kittens. No time for knitting? No problem. 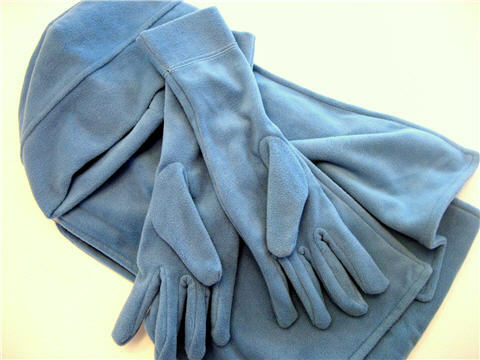 Here are some fun mittens in multiple colors! Socks are fun. Who doesn’t like warm winterized feet? Every Christmas my “better half” gives me a pair of footsies for my tootsises. For a dash of class, find some sockies with a touch of cashmere. The pairs pictured here were frugally found for $2 a pair. Check the department store bins to save some Bigfoot bucks. If you’re getting some socks for your little ones, why not pair them with a night time story? 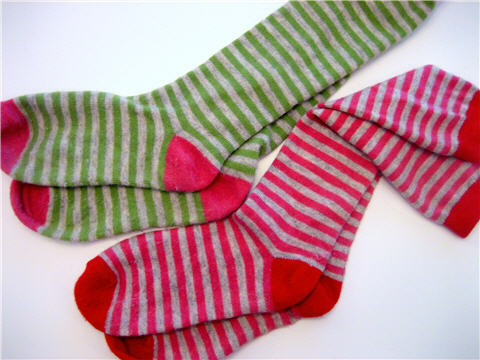 I remember bundling up at night wearing my warm Christmas socks while my parents read me a children’s book. Dr. Seuss’s Fox in Socks is a cute read. Snicker. Another popular book is one from the Harry Potter canon, J.K. Rowling’s The Tales of Beedle the Bard. Cookbooks are a fun and frugal way to treat the chef in the family. Get creative by pairing a cookbook with a homemade themed gift basket. 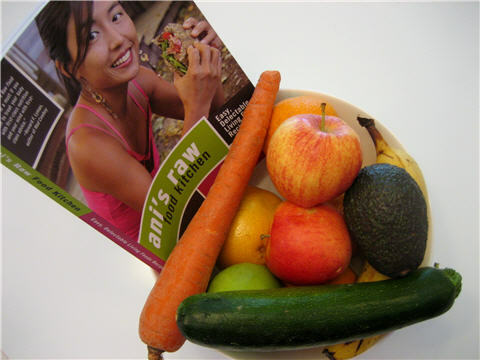 If the book is about raw food recipes, then create a gift basket containing raw foods! If the book features Italian cooking, then build a basket with pastas and Italian spices! Creating gift baskets to complement a cookbook is a very thoughtful way to spice up an otherwise common gift. Here are some of my favorite cookbooks. 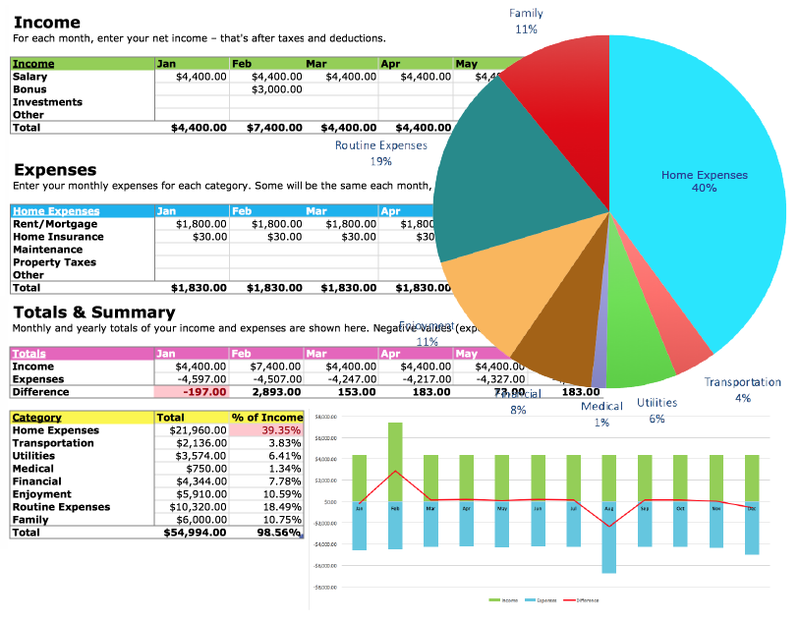 Pretty, frugal, and very useful. Who doesn’t want to keep warm when the weather outside is frightful? I always give my neighbors and loved ones winter wear to keep their noggins warm. Like all gifts on this list, you can purchase this winter wear anywhere. For the budget minded, here’s a Chenille Hat, Glove, and Scarf Set. Wrap your sister, daughter, mother, or friends in a pretty scarf or shawl this holiday. Pashmina shawls can be worn out to special events like holiday parties, weddings, or worn to just keep warm on a cold winter’s night. I’ve had my silk shawl for years and wear it on most special occasions. Wraps, scarves, and shawls can be found anywhere. 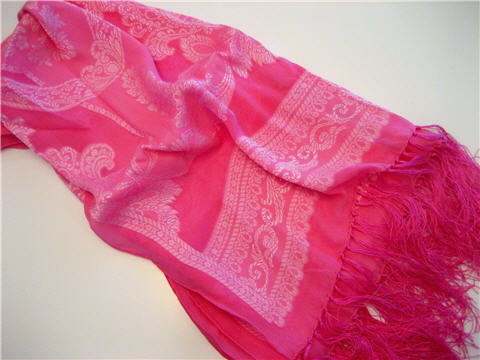 Here’s a pretty Pashmina and Silk Paisley Shawl. Do you have a green person on your list? Looking for an inexpensive way to help friends or family reduce the number of plastic bags when grocery shopping? Then take a peek at this insanely popular article: 50 Reasons to Go Green with Reusable Shopping Bags to see how simple it is to save money and help the environment. 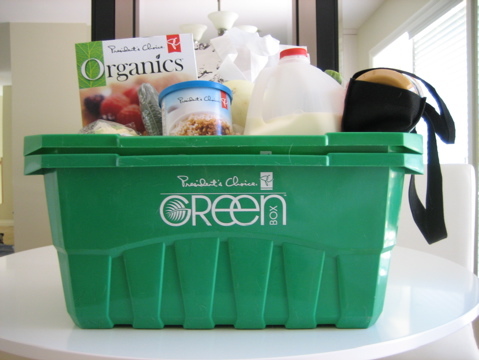 Most grocery stores sell branded versions of reusable shopping bags. Amazon sells a bunch too, but here’s a very frugal Reusable Grocery Tote Bag 6 Combo Pack in multiple colors. If you’re very frugal, split the pack and you’ve got 6 gifts to give. I get lots of email, from very happy women, singing the praises of The Diva Cup. 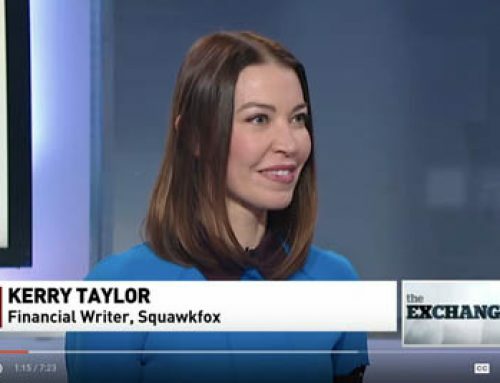 I am amazed at how an otherwise blush-worthy topic can bring such personal rave reviews! I raved my own review in 10 Reasons the Diva Cup Can Change Your Life. This article is my most popular read. Who would have thunk it? 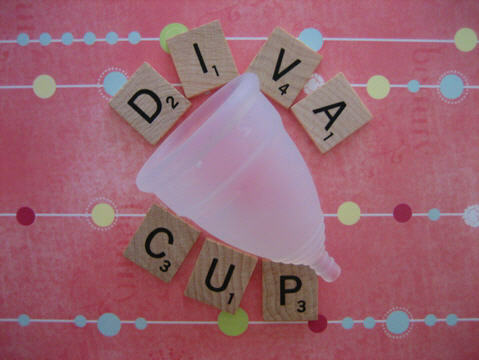 I love the Diva Cup. It saves me mega moolah, it saves me mega sanity, and it saves the environment. If you have daughters, or female friends, or you’re looking for a new solution to “feminine hygiene” products, then do give the Diva a try. Families of females can save a bundle of bucks. Don’t be shy. Diva Cup Model 2 Post-Childbirth or over 30. My mom gave me a pretty Japanese Tea Set years ago. This set has served me well. Whether I’m having tea by myself or with the company of others, my tea set has served many delicious beverages and has been a fun conversation piece. Many shops sell unique sets with one-of-a-kind details at various price points. If you’re giving a gift to a tea lover, be sure to include some inspirational teas with this gift. There are as many tea set varieties as there are tea aficionados. Here’s a very delicate-looking and pretty Japanese Tea Set in Ceramic Ocean Blue. Cameras are very useful and generous gifts. The prices of digital cameras have fallen in the last few years. A quality digital camera can now be had for under $100. Basic Budget Camera: If in need of a camera for your kids or are a beginner on a tight budget, this camera may be for you: Canon A470. 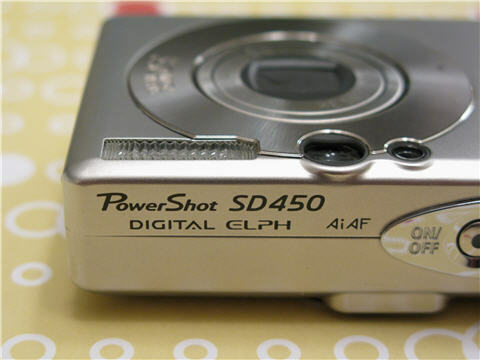 Intermediate Beginner Camera: At a higher price-point, intermediate beginner cameras have more features and often come with a smaller, sleeker body: Canon SD1100 Digital ELPH. Luxury Beginner Camera: These cameras have all the newest technology. If you’re looking for a camera to handle both family snapshots and provide a launch-pad for more serious photography, try: Nikon Coolpix P80. I hope you find these frugal holiday gift ideas helpful. From my experience, it’s been the gifts that cost the least amount of money that mean the most to me. 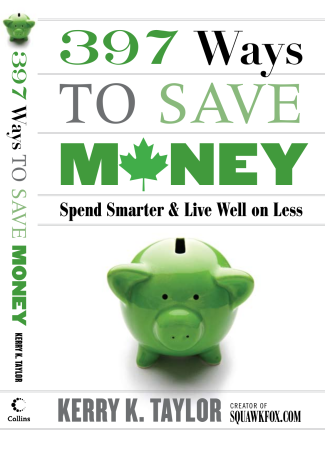 Got any frugal gift tips and ideas to share? Already find something for mom, dad, a friend, or the kids? What treasured gifts would you keep if your house was burning down? Thanks for the mention. We celebrate a “homemade” Christmas with my family. 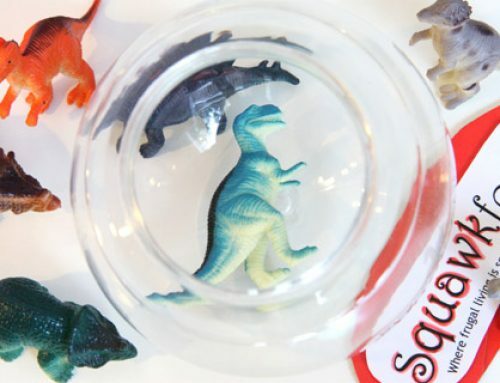 Everyone has to make homemade gifts. I make bean soup mixes in jars, jams, jellies and chutneys. I also make homemade take & bake cinnamon rolls for all the family memberst to bake on Christmas morning (these are HUGE hit!). This year I’m making reuseable shopping bags for family and friends and homemade eco-friendly cleaners. I LOVE LOVE LOVE the mittens your grandma made! I’m thinking I might do a combo gift from your list, using a reusable shopping bag as the “basket” for the cook book/ingredient set. What a great, useful idea! Plus I just saw some really cute reusable grocery bags the other day that had the logo of our local sports team on it! Woo hoo! I’m going to admit though, I’m still intimidated by the Diva Cup. I’ve read your articles on it, but it still has me a little wary. One day I will muster the courage! This is a great list! In my family we do a “consumables” gift exchange- basically means no dust-collectors and useless items allowed. Some of my favourite homemade/frugal gifts are framed photos, drawing a picture for someone (again in a frame), making a sugar scrub, and homemade baked goods. Also taking people out for lunch or dinner is a nice gift, too. All I can say is yes, yes and more yes! I would love every single one of those gifts. Perfectly stated and exemplified. 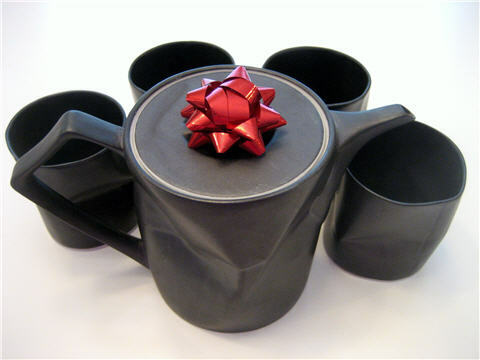 I love all of the ideas, especially the tea set and the diva cup…! my husband and i give all of our gifts in reusable shopping bags now instead of those paper holiday bags. Wrap myself in that opulent pashmina, put on fun stripey socks, and sip my chai from that elegant understated tea set, while browsing a new cookbook for meal inspiration? Great ideas, Fox! I’m thinking of making bound journals/photo albums this year for several of the folks on my list. Not quite sure what to get the boys, though…any tips from your better half? @Jennifer I love the idea of using reusable bags for wrapping…shhh, it’s an up coming (already written) post. 😀 I very much understand being Diva Cup wary. It took several years of convincing before I tried it. My good friend Beth was on my case about it for eons, mostly cause she loved hers so much. @Sagan I do the framed photo thing too. 🙂 I take soo many pictures during the years. People love a nice personalized photo of a loved one. Kicking myself for forgetting to add it to this list. @Fabulously Broke OK, I am laughing. Your “Gifts in a Jar” suggestion is an article I’ve already written. Are you clairvoyant? @Beth Yes, you got me hooked on the Diva Cup, and reusable shopping bags, and jar goods. You are awesome. @Natalie at FL Home Blog So happy you liked the list. Phew. @rjleaman Any woman who wears striped socks with a pashmina is in my good books. And you braved the green smoothie too, eh! @Jules I’m asking my “better half” about good gifts for boys. How old are they? @Emily I too love “How to Cook Everything”. Simple. Frugal. Fun. Ohh, do get a Diva. I wanted to mention “makes a great stocking stuffer” but I suppose it depends on the lady. 😀 Kind of an unconventional (but so awesome) gift! These are all excellent! Love the tea set and the cookbook gift basket ideas. There are some really cute ideas here! Loving the idea of spending less but still having a fabulous Christmas. Going to add you to my Google reader, thanks. this year my daughter and I thought we would do the homemade treats…..so we are doing the candies, cookies, and adding two pair of cozy socks to the basket, along with a hot chocolate mix in each one. The way we have it figured….we are spending about 10.00 per basket…and when you have as many as we do…it cuts the xmas spending to a minimum……hey…I would love to get one of these myself!!! Thanks for some great ideas. One that I do is to save any shoe boxes that I come across over the year (keep the tissue from the inside as well). I will then cover them with a nice neutral wrapping paper, something with stripes of colored circles. 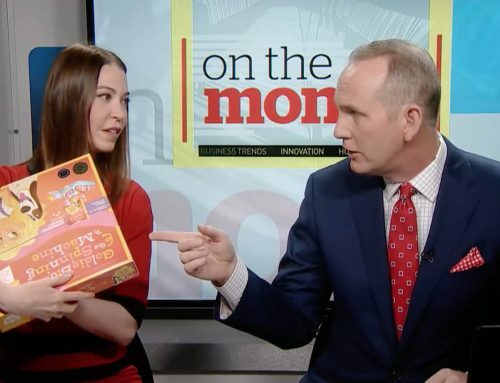 I then puff the tissue up on the inside and add three or four inexpensive items that are appropriate for the person and occasion that the gift is for. Let’s say it’s a wedding gift, I would add a scented candle, a small bottle of massage oil and a romantic CD. I would then make up a label to go on the front. In the instance of the wedding gift I would write ‘Post Honeymoon Evening Treat’. I find that people love gifts that have had a bit of thought and effort put into them as apposed to a quick but from the shopping mall. I’m giving home-made wine for gifts – costs around $2 each. $70 – starter kit of equipment – cost is spread out over the life of making wine. $50 – wine kit = 30 bottles! Get wine bottles from friends or from your own consumption, or buy them for $10 for a dozen from the wine making stores. To clean out dried wine, let an inch or so of water soak in the bottom overnight. If that doesn’t do the job, drop in some lentils and swirl around vigorously. That takes care of all but the most stubborn goop. (Those I just recycle). Now I rinse all my bottles immediately after they’re empty to avoid that. You can get fancy by applying labels and shrink caps, which add less than 50 cents total to a bottle of wine. If you want to save money on buying bottles, you’ll need patience, time and elbow grease. To remove labels from commercial bottles, fill with water and submerse in water for several hours to soften the glue. I’ve used the back of a butter knife to scrape off labels, but some slide off easily. To remove glue remaining, spray outside with WD-40 and scrub off, or use nail polish remover, then wash with dish soap and water. The wine kit stores can provide direction on applying labels and shrink caps. Since May I’ve made merlot, syrah, chardonnay and zinfandel and am now making apple wine from scratch (not a kit). I likely won’t make wine in the winter because we keep our house at 15C overnight (13-14C in the basement) to save on heating bills – which is too cool for fermentation, even with a heat belt on the wine container. The cookbook and fresh vegies would be a great idea for my mother! She’s doing a vegan-type diet and probably has a select few meals to make for herself. Thanks for the tip! Great tips, i think the food in a jar one is best for me…. I like to make a big batch of olives and store them, so this could be used for presents too! Great ideas. I am going to do some of the jar gifts. I think those are great. I am going to bring a jar gift for thanksgiving to my mother-in-laws.